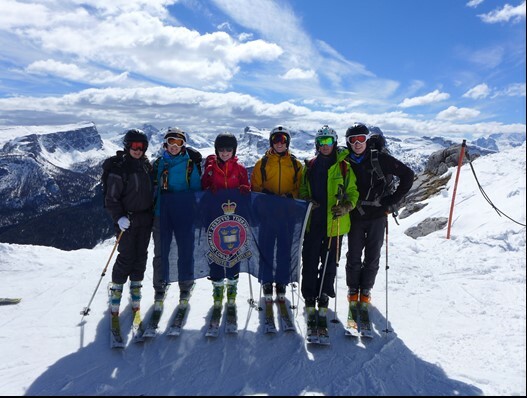 On 27th March 2016, six Officer Cadets from Oxford University Officer Training Corps set out on an ambitious six-day hut-to-hut ski tour across the Italian Dolomites. For five of the six members, the expedition was especially challenging as it was their first experience of hut-to-hut touring. 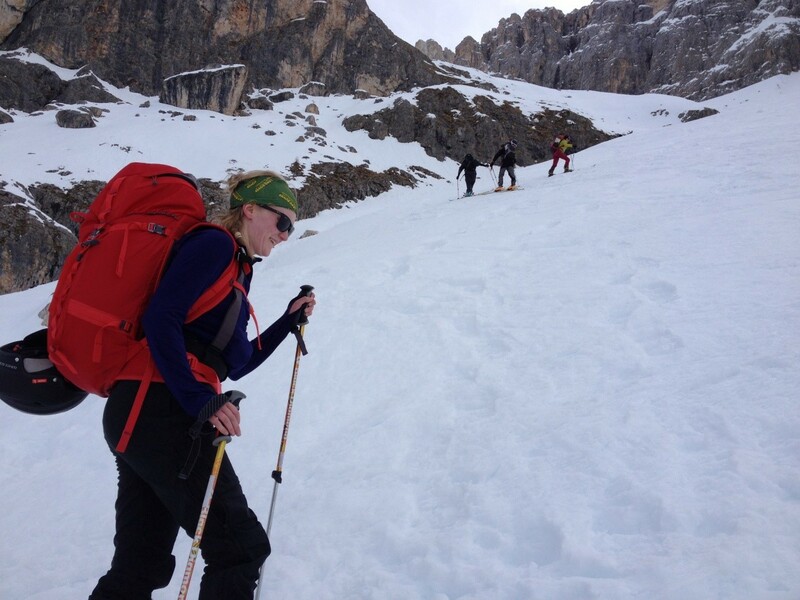 In spite of this and many additional challenges encountered along the way, with the invaluable guidance from Captain Noakes, the team successfully toured from Passo Rollo to Fanes before finally finishing in Cortina on the 2nd April 2016. One of the greatest challenges and undoubtedly the hardest climb of the expedition was the 694m ascent on day one. Although not the largest of the climbs undertaken, it was the most technically challenging. The ascent seemed especially daunting given that five of the team members had only learnt the techniques crucial to climbing such a steep gradient one day earlier. In spite of this, the group worked together admirably and successfully reached the top, where they were rewarded with breath-taking views of the valley below. 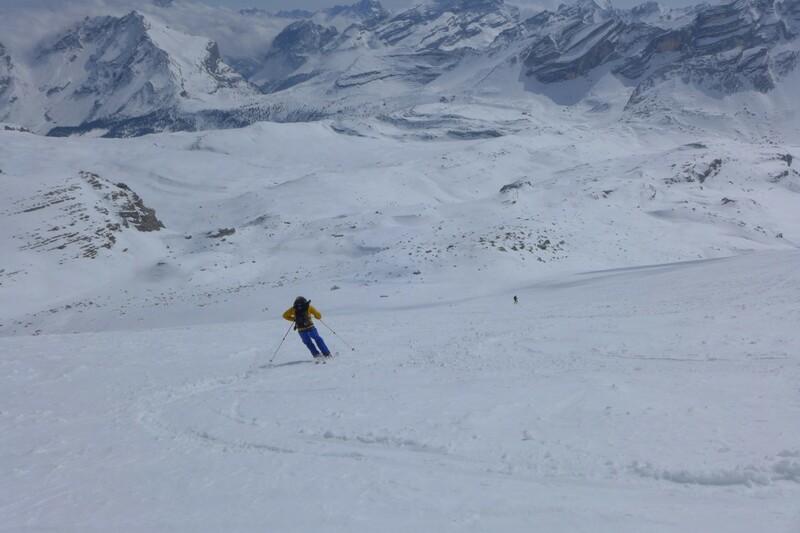 Challenges were also met in the descents, with a large range of snow conditions encountered throughout the duration of the tour. The most difficult descent was encountered on day two. On this day, the group had started with a 4.5km steady climb up to Forca Rossa (2490m). However, the weather had gradually worsened throughout this climb, with limited visibility and chilling winds plaguing the team by the time they reached top. Such poor visibility made the initially steep section of the 7km descent very difficult. While such conditions were by no means desirable, the challenge they set was met head-on by the team, who worked together and supported each other admirably throughout the entirety of the ski down. A major achievement of the expedition was the accomplishment of the climb and descent of a 3026m peak (Zehner Spitzer). In addition to this being a massive achievement in itself, the euphoria of the team was heightened by the fact that they had jointly navigated both to and back down from the peak. With the assistance of Captain Noakes, the group jointly planned the day-tour the evening before and then took it in turns to individually lead sections of the ascent and descent. 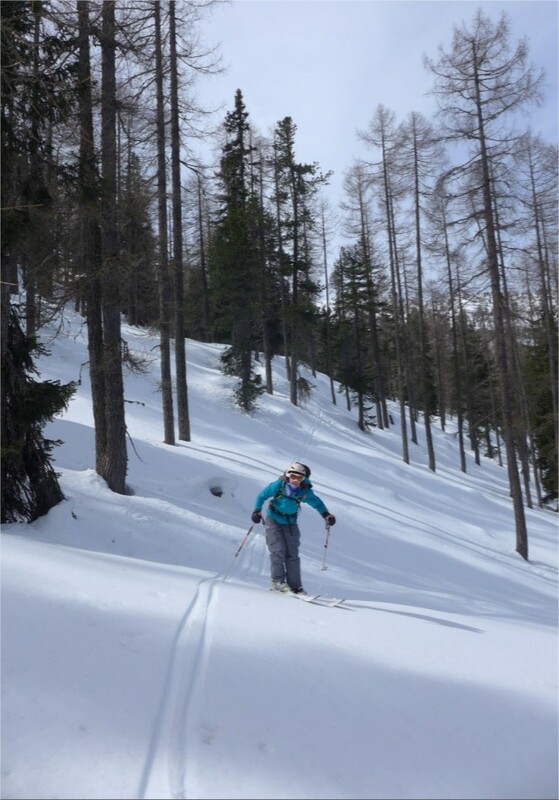 This opportunity gave the team members a chance to develop both invaluable ski touring, decision-making and leadership skills. The exercise also challenged the team physically. The days were long, averaging about five hours of constant movement, with the longest day clocking in at nine hours. The climbs were tough and made all the harder by the fact that the team had to rapidly develop many skills along the way to succeed. The flatter sections were also tough, with strong ‘Nordic’ style skating, as well as side-stepping techniques, essential for quick travel along these sections. Although some group members found these skills hard to master, all team members gave full-hearted efforts and had improved drastically by the end of the tour. The improvement in such skills were evident in both the 5km descent from the peak on day five as well as on the last day, where precipitation during the night had made the snow very tough to move through. In addition to touring during the day, the group’s hard work frequently continued into the afternoons and evenings, with the group dedicating much time to learning about winter alpine safety. One element of this included the learning of avalanche rescue drills. Led by Capt Noakes, this included the simulation of avalanche situations. Such a simulation was achieved by burying a rucksack (with a transceiver inside) under deep piles of snow. The team then either worked as a group, or individually, to locate and retrieve the rucksack in the appropriate manner. Such activities were made more life-like by the use of a timer, which created a pressurised situation. The group searchers gave change for team members to develop team-working and leadership skills. In addition to the simulations, much time was spent discussing snow science. Such discussions were led by Captain Noakes and included topics like avalanche formation and avalanche forecasting. As a result of the efforts of the team, all members who completed the training will be being awarded the Ski Foundation 3 qualification. A huge sense of achievement was felt on completion of the expedition. The tour was massively challenging in many ways and its success relied heavily on the ability of the team members to work-together, support each other and put in maximal effort. 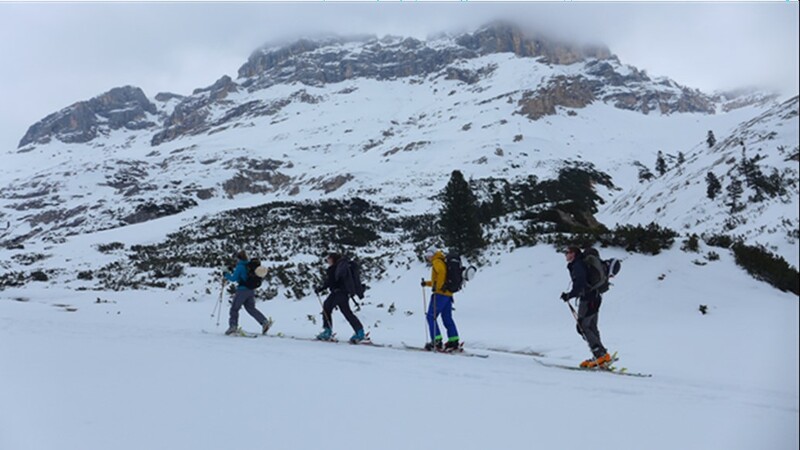 In addition to the successful completion of the tour, the 72.33km undoubtedly taught all members much about ski touring, leadership, team-working, perseverance and how to cope under pressure.